This accredited 2-year EMBA program at SJTU is specially designed for experienced leaders who look to broaden their horizons, enrich the knowledge in management, promote best practice in leadership, and to expand the inter-personal relationship and business network. The comprehensive study programme designed by prestigious academics at Shanghai Jiao Tong University enables candidates to acquire modern enterprise management knowledge and to build personalized approaches to decision-making. They will get in-depth knowledge of international and domestic business operations, acquire the capability and knowledge required for setting enterprise development strategies, conduct daily management and decision-making in the business. By the end of the program they will have the expertise to lead their organization to participate in domestic and international competition under the complicated economic, social, and technical environment both inside and outside China. The program aims at preparing students to meet the potential challenges from their present or future work. After experienced teaching mode of traditional and case study, SJTU EMBA has formed integrated experiential education mode. Following this integrated mode of experiential education and the academic principles of leadership education, the program syncretizes case studies, classroom teaching, enterprise visit, master forum, to reach the goals of this comprehensive business administration study agenda. The EMBA program of SJTU enrolls less than 30 excellent senior managers or entrepreneurs who have college degree in each year. Candidates are required 8+ years’ working experience, and 5+years ’ experience in a management position. The applicant can come to the EMBA office of Antai Management School for the “Shanghai Jiao Tong University EMBA Pre-application Form” or fill out the application information online. After the preliminary examination of the qualifications, the university informs the qualified applicants who shall fill out the official Application Form. The applicant is required to submit all the application materials and application fee. The examination notice will be sent to eligible applicants after the qualification evaluation. Take part in the EMBA matriculation exam which includes written exam (comprehensive quality test) and interview. Decision for successful application will be based on the scores of the written and oral exam, while the learning ability, career achievements, leadership skills, and individual potential will also be taken into consideration. After successfully completing the courses and reac hing the standards set by the university, each candidate will be granted the degree of Executive Master of Business Administration Shanghai Jiao Tong University. The degree is acknowledged by relevant state authority. Upon completion of the program with a graduation grade, one Executive Master of Business Administration (EMBA) degree will be granted by the Euromed Marseille Ecole de Management, and another EMBA degree will be granted by Shanghai Jiaotong University, which is approved by the Degree Administration Committee of the State Council, P.R. China. Largest number of SJTU EMBA students were awarded “Honor Graduate ”, “Star MBA in China”, “China EMBA with Social Responsibility”. The EMBA takes 2 years to complete and is made up of on-the-job learning, four days' schooling include a weekend every month (from Thursday to Sunday). 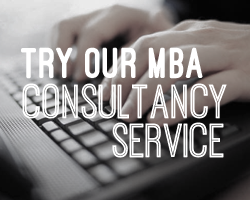 The EMBA examination fee is 1500 RMB, and the International Class tuition fee is 588000 RMB. The tuition fee includes lecture fee, textbooks fee, translation fee, college resources (library, computer center) fee, the thesis oral defense fee, lunch and tea break fee when schooling, accommodation fee.